It turns out that Rand Paul, the Tea Party-backed Republican nominee for the Kentucky U.S. Senate seat now held by the retiring Republican Jim Bunning, isn't the only member of his family who has argued that Title II of the 1964 Civil Rights Act wrongfully interferes with the internal affairs of private businesses and property owners. So does his father, Representative Ron Paul (R-Texas), who ran unsuccessfully for the 2008 GOP presidential nomination. In fact, the elder Paul's opposition to Title II -- which outlaws discrimination in hotels, motels, restaurants, theaters, and all other public accommodations engaged in interstate commerce -- is so intense that he was the only member of Congress to vote against a 2004 congressional resolution honoring the landmark anti-discrimination law on the 40th anniversary of its passage. Ron Paul stunned even his Republican colleagues when he delivered a speech on the House floor denouncing the Civil Rights Act, insisting that, contrary to the claims of its supporters, "the Civil Rights Act of 1964 did not improve race relations or enhance freedom. Instead, the forced integration dictated by the [law] increased racial tensions while diminishing individual liberty." Meanwhile, Rand Paul, who's maintained a low profile after igniting a firestorm of outrage on May 19 when he told MSNBC's Rachel Maddow that he, too, opposed the law's ban on discrimination by private businesses, is in hot water again, this time for telling a Russian TV interviewer that the American-born children of illegal immigrants should be stripped of their U.S. citizenship. The younger Paul -- whose comments on the Civil Rights Act were condemned as "absolutely appalling" on May 20 by House Majority Whip James Clyburn (D-South Carolina), a senior member of the Congressional Black Caucus and a veteran of the civil rights movement -- said that the U.S. is "the only country that I know that allows people to come in illegally, have a baby, and then that baby becomes a citizen. I think that should stop." Rand Paul made his assertions in spite of the fact that citizenship for all persons born in the U.S. is a right guaranteed by the Fourteenth Amendment of the Constitution. RON PAUL DENOUNCES CIVIL RIGHTS ACT IN 2004 SPEECH ON HOUSE FLOOR. . . It was on June 24, 2004 when the House of Representatives passed a resolution honoring the Civil Rights Act on the 40th anniversary of its passage. The vote was a nearly unanimous 414 to 1. Incredibly, Ron Paul was the only member of the House to have voted "no." In his floor speech -- which is published in full in the June 23, 2004 edition of The Congressional Record -- the elder Paul said that the Civil Rights Act "gave the federal government unprecedented power over the hiring, employee relations, and customer service practices of every business in the country. The result was a massive violation of the rights of private property and contract, which are the bedrocks of free society." Ron Paul asserted that under the landmark anti-discrimination law "bureaucrats began forcing employers to hire by racial quota. Racial quotas have not contributed to racial harmony or advanced the goal of a color-blind society. Instead, these quotas encouraged racial balkanization, and fostered racial strife." The Texas congressman went on to say that "the federal government has no legitimate authority to infringe on the rights of private property owners to use their property as they please and to form -- or not form -- contracts with terms mutually agreeable to all parties." He concluded his remarks by saying that, "While I join in sponsors of [this resolution] in promoting racial harmony and individual liberty, the fact is the Civil Rights Act of 1964 did not accomplish these goals. Instead, this law unconstitutionally expanded federal power, thus reducing liberty." Shortly after declaring his candidacy for the 2008 GOP presidential nomination, the elder Paul made an appearance on the December 23, 2007 edition of NBC's "Meet the Press," during which, when pressed by then-host, the late Tim Russert, to clarify his remarks, insisted that Title II of the Civil Rights Act violated property rights. "You're not compelled in your house to [invite] strangers you don't like," Paul said, referring to Title II's ban on discrimination in public accommodations. "So it's a property-rights issue. This idea that all private property is under the domain of the federal government I think is wrong." When asked point-blank by Russert if he would vote against the Civil Rights Act today, the elder Paul replied, "Yes -- if it were written the same way, where the federal government has taken over property. It has nothing to do with race relations . . . It has to do with the Constitution and private property rights." When Russert confronted him with a 2006 Washington Post article that read, in part, that "According to [Paul], Abe Lincoln should never have gone to war; there were better ways of getting rid of slavery," the Texas congressman replied, "Six hundred thousand Americans died in a senseless civil war. No, [Lincoln] shouldn't have gone to war." Russert interrupted Paul to say that "We'd still have slavery," to which he derisively answered, "Oh, come on, Tim! Slavery was phased out in every other country in the world and the way I'm advising is that it should have been done by doing what the British did -- You buy the slaves and then release them. How much would that cost compared to killing 600,000 Americans? "Every other country in the world got rid of slavery without a civil war," the elder Paul continued. "That doesn't sound too radical to me. That sounds like a pretty reasonable approach." In the wake of the elder Paul's public pronouncements on the Civil Rights Act and even on the Civil War to end slavery -- combined with racially inflammatory articles published in a series of early 1990s newsletters that bore his name -- is it any wonder that his 2008 presidential campaign drew support from avowed white supremacists, including former Ku Klux Klan imperial wizard Don Black, who now runs Stormfront -- the largest "white-nationalist" site on the Web -- as The 'Skeeter Bites Report and other bloggers revealed in January of that year? Is it also any wonder that, to this day, the 74-year-old Ron Paul has been steadfast in his refusal to either distance himself from the white supremacists who backed his 2008 campaign or to return their financial contributions? There are even reports that some of those same white supremacists who backed the elder Paul's run for the White House are now supporting his son's Senate candidacy. Meanwhile, the 47-year-old Rand Paul is in trouble yet again -- this time over controversial remarks made in a Russian TV interview. Appearing on the state-run, English-language Russia Today (RT) network shortly after winning the May 18 primary, the Kentucky Republican Senate candidate said that the American-born children of illegal immigrants should not automatically become U.S. citizens. The younger Paul told RT's Dina Gusovsky that he believes that politics plays a big hand in the current immigration issue. "We shouldn't provide an easy route to citizenship," he said. "A lot of this is about demographics. If you look at new [legal] immigrants from Mexico, they register [to vote by a] three to one [margin as] Democrat[s], so the Democrat Party is for easy citizenship and allowing them to vote. "I think we need to re-address that," he said. He didn't specify how, but there is a bill pending in the House with 90 Republican co-sponsors that would deny automatic citizenship to the American-born children of illegal immigrants. The bill, however, would clearly violate the Fourteenth Amendment of the U.S. Constitution, which explicitly says that "All persons born or naturalized in the United States, and subject to the jurisdiction thereof, are citizens of the United States and of the State wherein they reside." Not surprisingly, Ron Paul also favors denying citizenship to the American-born children of illegal immigrants. In his 2007 interview on "Meet the Press," the elder Paul shocked Russert when he called for a constitutional amendment to do so. "The Fourteenth Amendment wasn't in the original Constitution," he said, "There's a confusion on [its] interpretation. "Individuals are supposed to have birthright citizenship if they're under the jurisdiction of the government," he continued. "Someone who illegally comes into this country -- say a drug dealer -- is he under [U.S.] jurisdiction and their [American-born] children deserves citizenship? I think that's awfully confusing, and I have a bill pending to change that, as well as a constitutional amendment to clarify that." WHY ARE THE PAULS SO INTENT ON ALIENATING BLACKS, LATINOS? So explicit is the language of the Fourteenth Amendment's Citizenship Clause that no attempt to deny citizenship to the American-born children of illegal immigrants has ever succeeded in court. And a constitutional amendment to achieve that purpose would require two-thirds supermajorities in both houses of Congress for passage -- supermajorities which do not currently exist and are unlikely to exist even if Republicans took back control of Congress in November's midterm election. A constitutional amendment would also have to be ratified by a three-fourths majority -- 38 -- of the 50 state legislatures before it can become part of "the supreme law of the land." Currently, the Democrats control a majority of 28 of the 50 statehouses. Chances for passage of such an amendment, therefore, is virtually nil. Indeed, it would be politically suicidal in the long run for any politician to push for such measures. Already, Latinos are the fastest-growing voting bloc in the nation, especially in California and the Southwest. They're also the fastest-growing segment of the U.S. population overall, according to the Census Bureau, with the Latino birth rate now outpacing that of whites for the first time in the nation's history. Republicans in California already have been paying a severe political price with Latino voters -- who now make up 40 percent of the state's electorate -- in the 15 years since they successfully campaigned for Proposition 187, a 1994 ballot initiative designed to prohibit illegal immigrants from using the state's social services, health care, and public education, only to see it struck down by the federal courts as an illegal state intrusion into federal jurisdiction. Next door in Arizona, a Latino voter backlash continues to grow against Arizona Republicans over the recent passage by the GOP-controlled legislature and signing into law by the state's Republican governor, Jan Brewer, of a measure to crack down on illegal immigrants in that state. Critics of the new law warn that it would lead to widespread discrimination against Latinos, including Mexican-Americans, who make up nearly a third of Arizona's population, according to the Census Bureau. 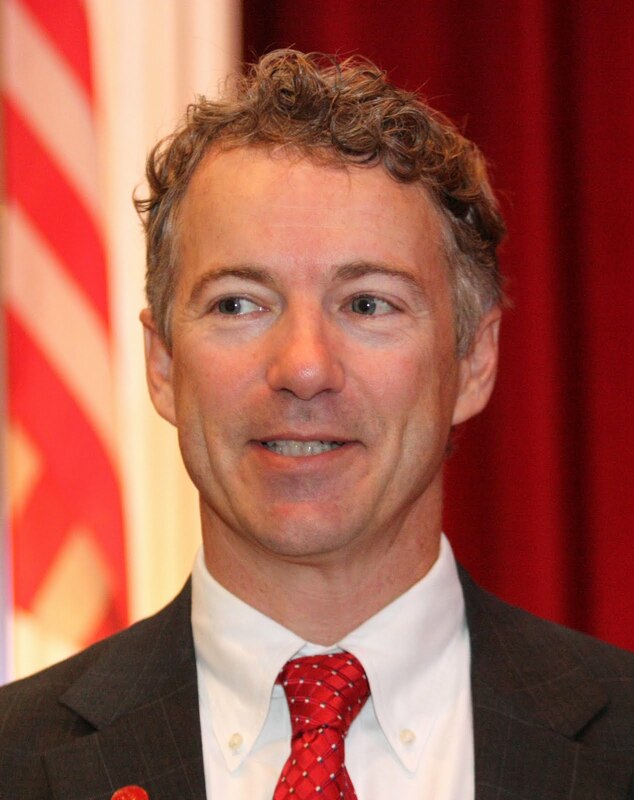 So why are Ron and Rand Paul -- who both swear they aren't racists -- nonetheless seemingly bent on alienating African Americans with their denunciations of the Civil Rights Act and on alienating Hispanic Americans with their calls to deny U.S. citizenship to the American-born children of illegal immigrants from south of the border? And why has the elder Paul continued to turn a blind eye to the white supremacists who backed his 2008 presidential campaign -- some of whom are now reportedly supporting his son's Senate candidacy? Are the Pauls really that blind to the damage to racial and ethnic harmony that their positions -- and their controversial supporters -- are inflicting?